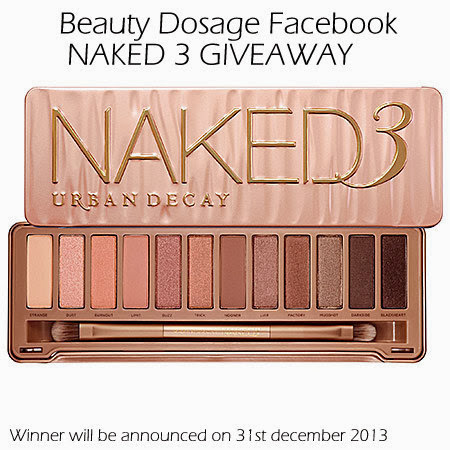 I mentioned that there is a facebook giveaway planned and that's the Urban Decay NAKED 3 giveaway! Is'nt that exciting? WINNER WILL BE ANNOUNCED ON THE 31ST OF DECEMBER 2013. NOTE: This is entirely separate from the ongoing giveaway on the blog. Fill in the form below confirming your entries. Hey, i just got to know about your blog from my friend who shared the giveaway! hoping to win it ^_^ thanks for the lovely giveaway!! does the share have to be public? I meant the FB share.